From the left selections pane, you can choose & check the policies & rules of circulation, Fines, and Renewal processes in the Library. The Library checks out books depending on Circulation Module. NEVER allow another user to use your ID card, or borrow items for another person as you are responsible for the items borrowed using your ID. If any of the books is overdue, then the undergraduates and postgraduate students are subjected to pay fines. For Lost Items: If the item is lost, the charge will be paying fine charges plus replacement cost in addition to (50 L.E.) as an overhead charge. The Library will consider a Circulated Item “LOST” after 60 days overdue. If a lost item is found within a year, only the replacement cost is refundable. Students receive a notice once before the mid-term exam and another before the final exams to return books. An overdue book will automatically block a student from borrowing. 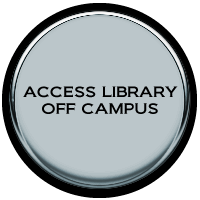 In case the book is not returned by the end of the semester, the student’s file will be automatically blocked. The student’s final grades will be hidden till he/she returns the borrowed book(s) and/or pays the fines. That student will not be allowed to pay the university’s fees, go through the drop and add procedures or receive the graduation certificate unless he/she handles the matter with the library. Circulation Desk: either at the Main Library or Scientific Library. Send e-mail message with Subject “Renewal – Student ID” to Circulation Staff.